Professional upholstery cleaning by Fresh Start will remove bacteria and embedded dirt from your furniture. Our deep cleaning, fast drying, truck mounted steam cleaning process kills bacteria and removes pet stains, pet hair, pet odor and pet dander. Our pet/child safe detergents are odorless and leave little to no residue in your upholstery. After the cleaning process is completed your upholstery will feel and smell fresh as well as look vibrant. 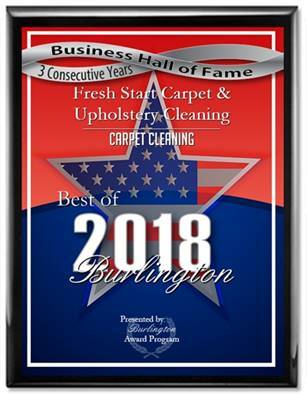 Fresh Start upholstery cleaning is a family/veteran owned company that has been serving the South Jersey and Philadelphia areas for over 19 years. We are one of the highest rated 5 star upholstery cleaning companies in the area.